In order to take advantage of ContactSync, a designated Online Portal user must be assigned the Data Administrator permission. Click on the Administration tab and then click on Administer Portal Users. Select a current portal user OR add a new portal user to be a Data Administrator. 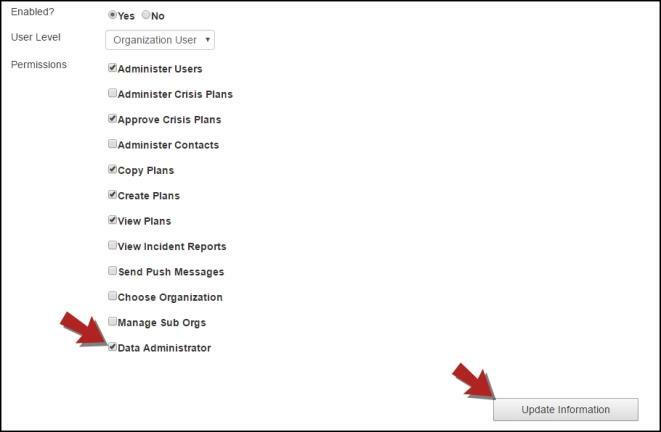 Once the required information is filled out (or checked for accuracy in the case of a current user), check the box marked Data Administrator.